Pretty bikini brief of soft, stretch lace with duck egg ribbon and rosebud accents. 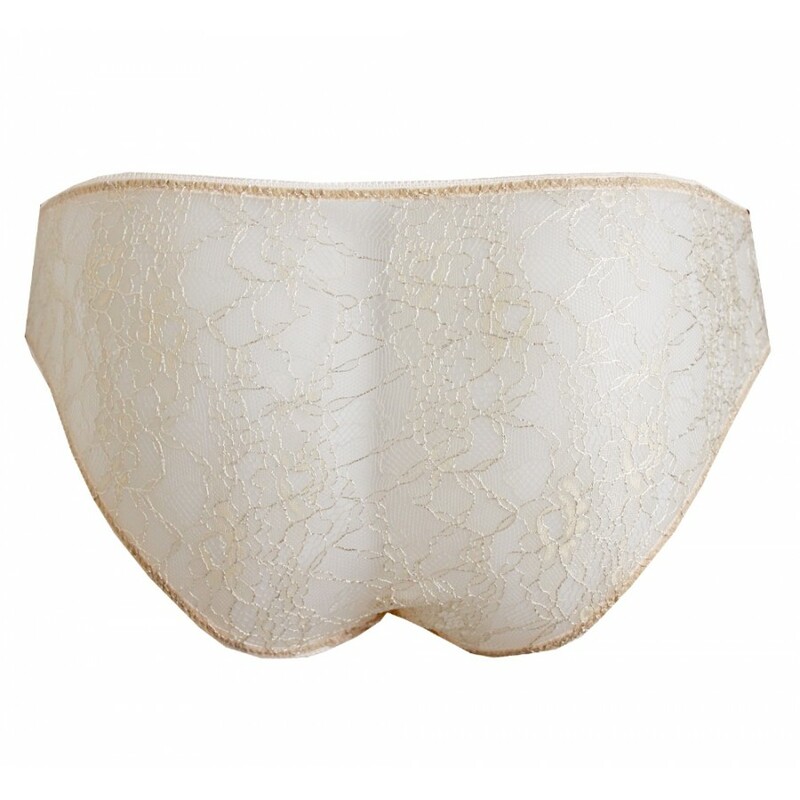 Feel oh-so-pretty in this delicate pair of knickers by Tallulah Love. Crafted from soft lace in ivory and almond, this bikini brief is accented wtih beautiful duck egg blue ribbons and a terracotta rose bud. The front panelled is lined with soft microfibre while the lace extends across the back of the knicker giving a lovely sheerness. Countess is the perfect addition to any vintage lingerie lover's collection!